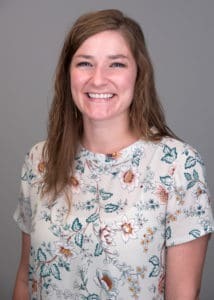 MARIETTA, GA September 1, 2018 — The Marietta Eye Clinic, one of Georgia’s largest ophthalmology-based eye care practices, is pleased to welcome Kayla Akers, OD to the active optometry staff. Dr. Akers is licensed by the Georgia Board of Optometry with a full-scope license. She is a Fellow in the American Academy of Optometry and her practice areas are Primary Care Optometry and Ocular Disease. Dr. Akers is a native of Tennessee and received her Doctor of Optometry degree from the University of Alabama at Birmingham School of Optometry. Dr. Akers will be serving patients at the Kennestone (Marietta) and Towne Lake (Woodstock) office locations. She is joining the Marietta Eye Clinic from Indiana, where she has been practicing with Munster Eye Care Associates for the last year. Dr. Akers is excited to be in Georgia serving patients and helping them achieve the clearest vision possible. To schedule an appointment, call the Marietta Eye Clinic at 770-427-8111 or visit the company’s website at www.mariettaeye.com. Same and next day appointments are available, contact us today! The Marietta Eye Clinic is a multi-provider, comprehensive eye care practice providing a wide range of ophthalmology, optometry, and optical services at 9 convenient locations. We have proudly served the Metro Atlanta and greater Georgia community for over 50 years. Our 29 ophthalmologists (MDs), surgeons (MDs) and Optometrists (ODs) know how fundamental your eyesight is to your quality of life. We build long-term, caring relationships with our patients and their families. You and your family can come to Marietta Eye Clinic knowing there is no eye concern we can’t handle.